So the tree is down and the egg nog is drunk and Arne is leaving. Everyone is sharing their parting thoughts, so I thought I would address Arne’s big moments with special education. Perhaps the place to start is the letter Duncan sent in 2010, making it sound like he understood parents and their needs when it came to their students with disabilities. I think it is interesting and especially disingenuous that he begins by saying, We need to move beyond the bubble tests. And we need to better support our teachers. To build a first-rate accountability system, states have to significantly improve existing assessments used to measure our students’ growth and move beyond fill-in-the bubble tests. We need to ask ourselves where we wound up with that. The answer is, there is more of a focus on testing students with special needs with bubble tests than ever before! And about that support for teachers…HERE is the recent NPR report. Big news came June 24, 2014, when Duncan, who never taught as a real teacher a day in his life, made pronouncements that students with disabilities could be assisted with the right kind of education. The implication being that students are not getting the help they need and their teachers are failing them. The gist of it is Arne wants all students with special needs to take the same tests students without disabilities take. HERE is the full report. Under the new guidelines, Duncan says he’ll require proof that these kids aren’t just being served but are actually making academic progress. [Special ed. teachers have always done this since special education was mandated. Written goals have always been a part of the Individual Educational Plan. Special education teachers/school psychologists have always administered achievement tests and other diagnostic tools to craft realistic goals for students to reach. Parents have always had to approve those goals. Then the special education teacher is held accountable for reaching that goal. Certainly, teachers need to always look for better methods and ways to assist students to do better, but implying that teachers failed students in the past is bogus]. “We know that when students with disabilities are held to high expectations and have access to a robust curriculum, they excel,” Duncan said. [This is one of those statements where you want to say, “And what might that be? Here again, teachers have always tested students with special needs and attempted to write goals for them to reach. Then they have helped students to reach the goals]. These are students with a range of disabilities, from ADHD and dyslexia to developmental, emotional and behavioral disorders. [And they all should have decent school services. We know that Duncan and his people at the United Stated Department of Education had no plan for dyslexia. Here is the tape as proof]. It is important to note that many parent groups are adamant that students be tested and that test accountability drives all programs for students with disabilities. This is driven by the Individuals with Disabilities Act (IDEA)—that students be in inclusion classes. The Council for Exceptional Children and the National Center for Learning Disabilities, and other groups, are pleased with Arne Duncan’s special education stance for the most part. What is troubling is that these groups want all students with disabilities to get what they want for their students and that includes the same standardized testing. Should we not have a continuum of good services for all students? Shouldn’t parents have options when it comes to public school special education services? Also, as I have previously written, Arne Duncan comes from a long line of school reformers dissolving special education services. When you see that Arne’s game plan is to test everyone with the same test, all other programs seem dedicated to that endeavor. In June 2016, the U.S. DOE announced $12.8 million in grants to Help Children with Disabilities Reach Their Full Academic Potential, and this money would go to a variety of programs. For example, $3.6 million goes to prepare graduate students for leadership positions in special education, early intervention and related services. Another grant program, under the Combined Priority for Personnel Development, will provide an additional $9.2 million in funds to help address state-identified needs for highly qualified personnel in special education, early intervention, and regular education programs that serve children with disabilities. The grants will, according to the plan, help train educators in areas like early childhood, low-incidence disabilities, speech/language issues, adapted physical education, and transition services. HERE is a list of the recipients. On August 17, 2015, Arne Duncan announced funding to parent training centers. The U.S. Department of Education said it will grant $14 million to support parent training and information centers in 28 states and two U.S. territories over the next five years. The centers, which are located in each state, are designed to offer parents assistance with everything from understanding special education law and policy to interpreting results from evaluations. These seem to be nonprofits to assist parents with students who have disabilities. Any group that supports parents is fine in my book. HERE is the list by state which might be of assistance to some parents. But school districts should also be providing parents with support. I ordinarily wouldn’t care about nonprofits, but in today’s world of privatization, they make me nervous. Also, any parents who would like to share their experience with any of these groups please let me know. The states chosen for the funding are Arizona, Arkansas, Illinois, Indiana, Iowa, Minnesota, Montana, Nevada and Tennessee. Also, we learned Separately, the Education Department said it is awarding another $9.2 million to nine states to improve training of special education personnel. The funding can be used to address a variety of needs including recruitment and retention of special education teachers, training educators to support students with disabilities in general education classrooms as well as teacher coaching and mentoring, the agency said. So what does this involve? Well, most states are having trouble recruiting teachers for special education if we believe what we are told. I worry this money will go to groups like Teach for America or individual school districts to provide on-the-spot training to non-experts. One has to ask why more of an emphasis isn’t being placed on special education training and recruitment at the college level to make real special education teachers who focus on disability areas—like we used to have. To sum up, Arne’s legacy in special education is reflected in his command to New York State that all students with disabilities and second language students take the regular test. If you will recall, a year ago, New York officials wanted a waiver to reduce student stress by administering tests matched to developmental instead of chronological age. They felt they could get more meaningful results through developmental testing. HERE is the notification. Both requests were aimed at reducing stress on students and yielding more useful results. State officials say that federal rules that require testing students at their chronological age, with narrow exceptions for students with very severe disabilities, set up some disabled students for failure and turn the tests into stressful guessing games. School officials in districts with many immigrant students say one year often is not enough for new arrivals to be ready to take language arts exams written in English. New York education officials also argued that tests that are far out of line with a student’s cognitive level provide little useful information about student growth for the purposes of evaluating teachers or improving instruction. “Those kids feel they are failures, and there is no reason at all why they should have to take that test,” Regent Roger Tilles of Long Island said in December 2013. The U.S. DOE said no. Those bubble tests Arne spoke against in the beginning were just too important to drop. Tests ruled over the well-being of the students with disabilities and ELL students. Don’t let the door hit you on the way out! So torn. Your assessment of the utter absurdity of administering to all students with disabilities tests aligned with their chronological age is spot-on. Arne Duncan is no friend to special education. His responses to Senator Cassidy’s questioning on dyslexia was almost laughable had it not made me want to weep. Nothing in this climate of privatization of education for profit will help students who need uniquely designed education to overcome obstacles. The Obama administration wants to pay the problem away, selling our children’s future to Goldman Sachs in return for pretending learning disabilities, developmental delays, and disorders will not exist after a “rigorous” pre-school experience. Yet…this failure to help our “special ed” kids is not new. You have only to read the posts and comments on sites like Wrightslaw, or the FB page “Easy to Love, Hard to Raise” to understand the level of frustration of parents of students with disabilities has been high for some time. For every Stephanie Johnson, there is the teacher my son was paired with, who had absolutely no knowledge of disabilities of written expression. She spent 3 months of her consulting time with the general ed. teacher trying to decide if a mechanical pencil was the answer to my child’s terrible handwriting. Nothing was done about structuring writing tasks, providing semantic maps or checklists…anything you might find if you merely googled “writing problems”. Or perhaps some have encountered the elementary school principal who insisted that she didn’t need to know about the student’s IEP because she practiced “16 elements of good teaching” and that covered everything. The school district SPED chair that stated “We don’t use peer-reviewed research to develop an IEP because it isn’t practical”. Then there is the dangerous lack of teacher prep. programs that teach the science of reading and the causes and functions of dyslexia. Or perhaps we can talk about the utter lack of positive behavior supports in so many districts. 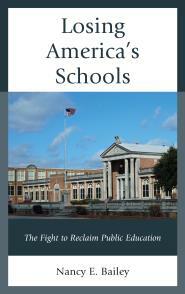 Regardless, the current climate of “ed-reform” has hurt students, parents, and teachers immeasurably. The damage done makes it almost impossible to intelligently discuss just where the gaps existed. Teachers are, understandably, closed off, having to protect themselves against the anger and attacks against them. My hopes of my child receiving an free and appropriate effective education are all but dashed as long as this climate exists. Much has been done to destroy the protections and the services students once had through PL 94-142. It wasn’t perfect, nor was it always consistent, but special education services have changed dramatically due to the changes made with IDEA and NCLB. 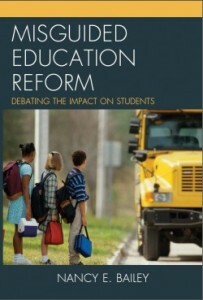 Yes, I agree, NCLB and IDEA changes did harm special education services. For suburban NY, money woes have filtered in as well. The 2% tax cap imposed in 2011 cut into school budgets and special education, an expensive item to begin with, has been the target of budget cuts and ire from parents/administrators who assume that students w/disabilities are getting more than their “fair share”. However, special education has never had halcyon days. My mother was a special education teacher in the children’s unit of a psychiatric hospital during the late 60s, early 70s and then an administrator. She is quite frank about the level of teaching and care given to the students. Dyslexia has been studied since the 1870s. The Orton-Gillingham method has been in use since the 1930s. Yet, try to find a school district that is using that, or Wilson, or some other method consistently in their RTI or special education svcs. School districts are woefully behind in their understanding of ASD. Assistive technology is a fight. It has nothing to do with IDEA changes or NCLB. It is a bureaucratic system designed to benefit the majority. The square pegs, our students with disabilities, are viewed, for the most part, as drains on resources. This isn’t true for all educators, or districts, but true enough for most. Each year, I push and push for greater professional development for educators, but…Our district didn’t even make reading IEPs mandatory until one parent demanded an audit and discovered that hundreds of IEPs were unread. That has nothing to do with Arne Duncan, IDEA, or NCLB. I never said that special education services were perfect in the past. I’d say the real beneficial programming came about in the late ’70s and ’80s. Politicians never wanted to fund it. However, there were places that did sincerely make an effort, and my point is that we have gone in the wrong direction since those earlier years. And Duncan did nothing to promote assistance to students with dyslexia or to emphasize Orton-Gillingham. He is pushing all students to take the regular tests. What innovations came from this administration? Common Core? How does that help students with disabilities? Don’t make the mistake of saying no progress was made in the past and mixing it in with today’s lacking special education. IDEA and NCLB made changes in my opinion that were harmful to the progress that was being made. RttT didn’t help either. While I agree with many of your points I also disagree with many. Most notable the comment above “Under the new guidelines, Duncan says he’ll require proof that these kids aren’t just being served but are actually making academic progress. [Special ed. teachers have always done this since special education was mandated. Written goals have always been a part of the Individual Educational Plan. Special education teachers/school psychologists have always administered achievement tests and other diagnostic tools to craft realistic goals for students to reach. Parents have always had to approve those goals.” I have rarely seen a goal that is measurable and if it is the growth is minimal (at least here in MI). Further parents do not understand the goals are not measurable. Here is an example: Jill, a 7th grader, Present Level of 50 correct words per minute at the 4th grade level. Goal: By March 2016 Jill will read 60 CWM at the 6th grade level with 70% accuracy, 3 out of 4 trials. Sounds good but not good. The reality if Jill is expected to read 60 words correct 70% of the time that is only 42 words and only expected to do this 75% of the time. Goal met – parents don’t understand Jill will never attain proficiency in reading not meet her full potential. All parents know is the goal, one they approved, was met. That’s not the way it used to be, and again I have to think that services for students with disabilities have declined. For example, as a resource teacher we always did a Woodcock-Johnson and other reading tests–the Slosson Oral Reading Test or SORT-R comes to mind. And it should be the responsibility of the teacher to describe what the goal is to the parent. But who does the IEP meeting these days and what’s their background? Are we talking about a qualified resource teacher with a special education background?. I think the reforms that have taken place had destroyed special education. Yes the IEP team consists of qualified member: SE teacher, psychologist, etc. Yes the WJ and other tests are done every three years. I am referring to the PLAAF data for baseline like CBM. Teachers need more training. At the above mentioned IEP the teacher could not explain what percentile of 60 WRC with 70% accuracy, 3.4 trials. The reason is because this is not measurable period. The goal sounds good to an uninformed parent. Probably teachers do need training, if that is your point. I suggest you speak to the teacher in person, and or those at the IEP conference, about your concerns. Parents need to ask questions more than ever before. Competency-Based Education is being rolled out in places as an alternative to Common Core. PLAAF stands for Present Levels of Academic Achievement & Functional Performance for those who might not know. But Competency-Based has been around since the ’70s. And SPED teachers have always aimed at writing measurable goals both long and short-term. Do some teachers fail to do so today? Probably. Where are they prepared to teach? How many students are they working with, and how many tests are they administering? In all fairness to teachers, they are being pulled in so many directions right now…but please speak to this teacher in person. .
You and I have discussed a lot of these issues. I completely agree that the original intent of the law has been lost. There are many reasons for that, probably most basic is money. So, even if you only talk about students who belong in regular school environment (as opposed to a school dedicated to a particular need), it’s still going to be expensive. It also takes local BOEs who are interested in making sure their top administrator knows what the heck they’re doing…that is rare – both the BOE and administrators. The parent groups drive me nuts. Along with the civil and disability rights groups, they have skewed the discussion away from appropriate education. And, many of them take huge sums of money for Gates and the like. I have no other explanation for why anyone would want to subject their child to incessant testing that has no relevance to their child’s education and, as it was for mine, specifically detrimental to their emotional well-being. The groups that help within states tend to be limited. In NJ, there is a wonderful organization called SPAN. They provide parent training and information. The snag comes when a parent has done everything “correctly” and still does not have an appropriate situation for their child. SPAN can’t help a parent fight. Unfortunately, needing to fight has become the norm instead of the outlier. Arne has done some really serious damage. I have no idea how we fix it, but I plan to talk about to anyone who will listen. Parents (and teachers) have to be the face of this. Politicians have no clue. Thank you, Julie. You make several fine points. First, the BOE and administrators–in some places the admins.. aren’t even educators. And the parent groups are really doing a disservice to parents who want services for their kids. Of course wanting sameness in curriculum does sound like the agenda. And thanks for sharing the info. about SPAN. You are always so informative. I now take the position at my son’s IEP meetings that if the goals are not observable and measurable, I don’t agree to the IEP. I just got a progress report from the school, and it actually makes some sense. Unfortunately, as long as parents just go along with what our schools throw at them, students with disabilities and their teachers will continue to suffer. Thanks, Lorri. That makes sense and a good teacher should explain how those goals are just that–and what they will do if they don’t reach the goals. It’s a two-way street. That used to be the purpose of the IEP! Apparently Duncan has the idea that if only teachers have high expectations (No Excuses) for young kids with learning issues, all the disabilities will be cleared up before the Testing starts in earnest in third grade. What a $$ saver–no more special ed! No problem pouring huge amounts of money down the drain for ill-conceived curricula, tests, hardware, software, and bandwidth–that money goes to the hard working entrepreneurs! Put money into specialized training and ongoing resources for students with bona fide/professionally diagnosed learning issues that in fact last a lifetime (such as autism, deafness, and neurological impairment)–but we’re broke! The hypocrisy is so thick it’s smothering. Of course all students need to be challenged, but the challenge should be within their zone of proximal development. Specially trained teachers do challenge their IEP students to their maximum capacity, but many students with learning issues will not progress at the same pace as non-disabled peers, No matter how many bells and whistles the test-makers supply as “accommodations” during standardized testing, students who are performing below grade level will not score proficient on these tests. Which is the disservice–to expect them to do something they are not capable of doing in order to say they are being provided an equal opportunity to succeed? or to expect professionally trained teachers to diagnose and assess the students’ needs and progress according to their expertise for the particular disability? I retired from teaching in the middle school and high school at the RI School for the Deaf in 2011. I prepared for my specialty in a two year Masters program at Gallaudet University. Many of our students graduated and went on the college, most of them to colleges like Gallaudet and the National Technical Institute for the Deaf. These programs knew how to fully accommodate for the students’ needs and goals. Upon graduation, they had wonderful opportunities for fulfilling careers. Yet many of these same students would not have scored proficient on today’s PARCC/SBAC tests.